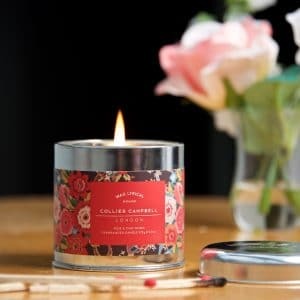 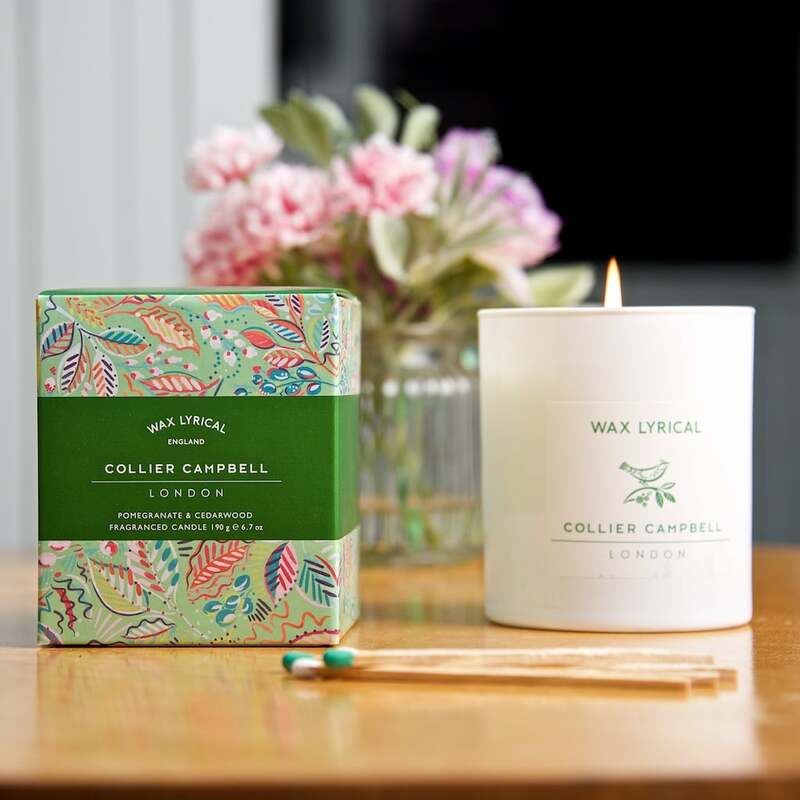 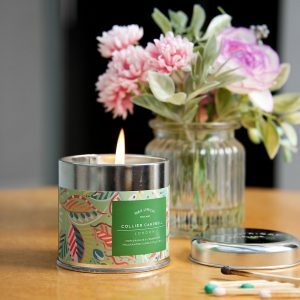 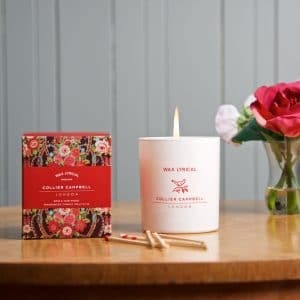 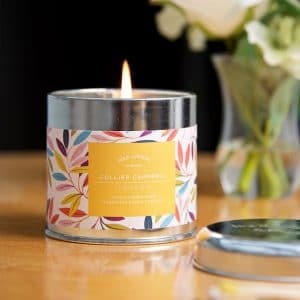 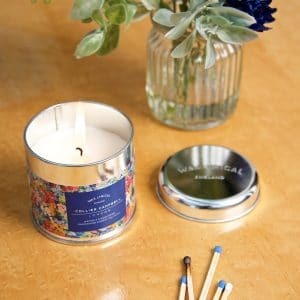 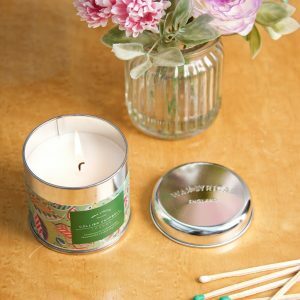 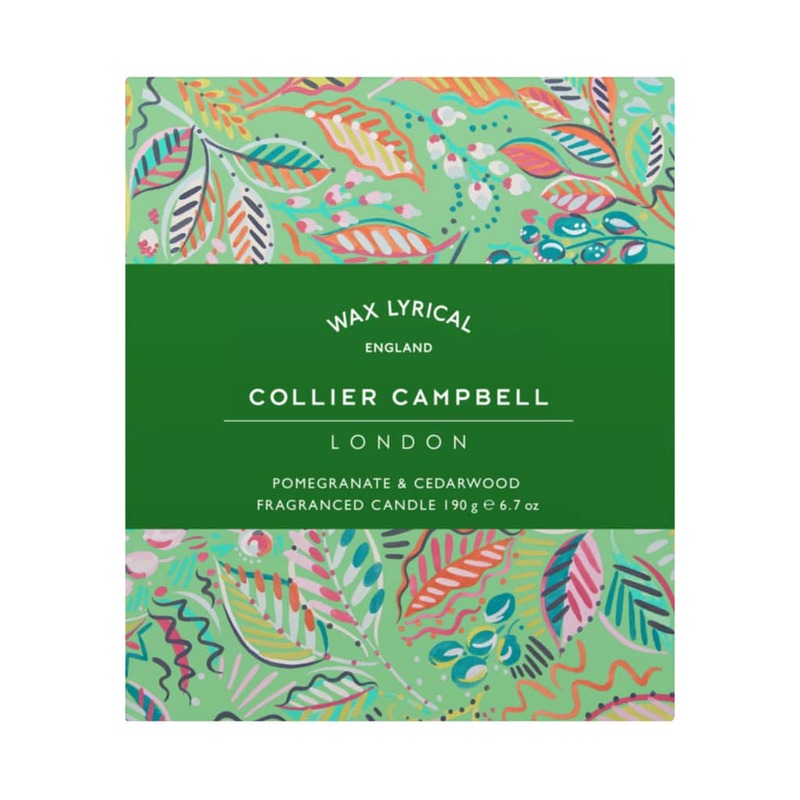 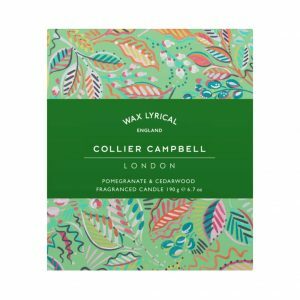 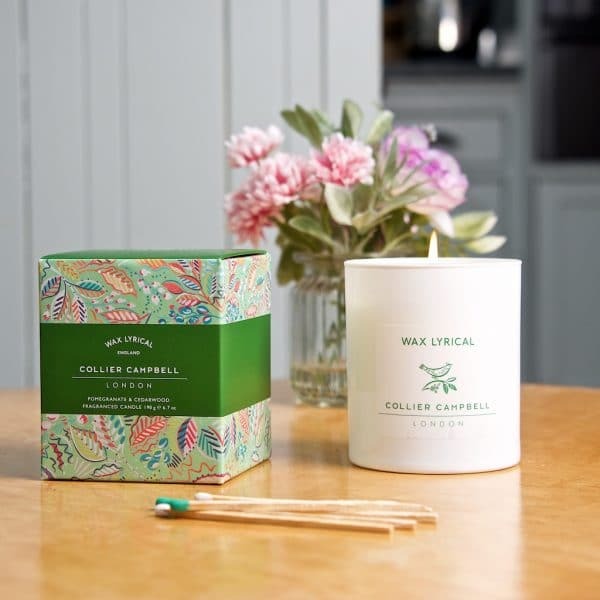 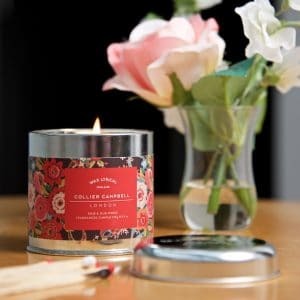 A Pomegranate and Cedarwood scented candle to fill your home with the soft scent of cedarwood underpinned with the deep and juicy notes of pomegranate. 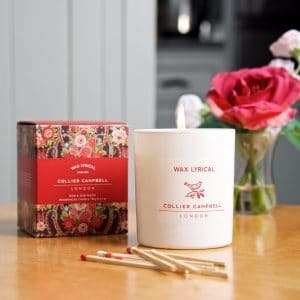 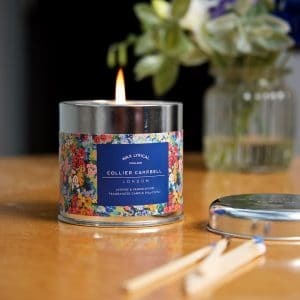 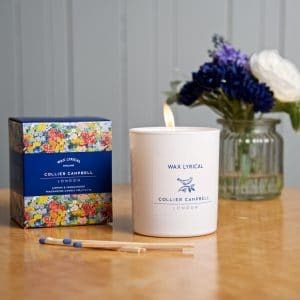 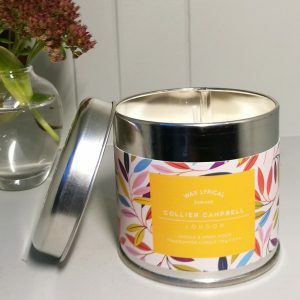 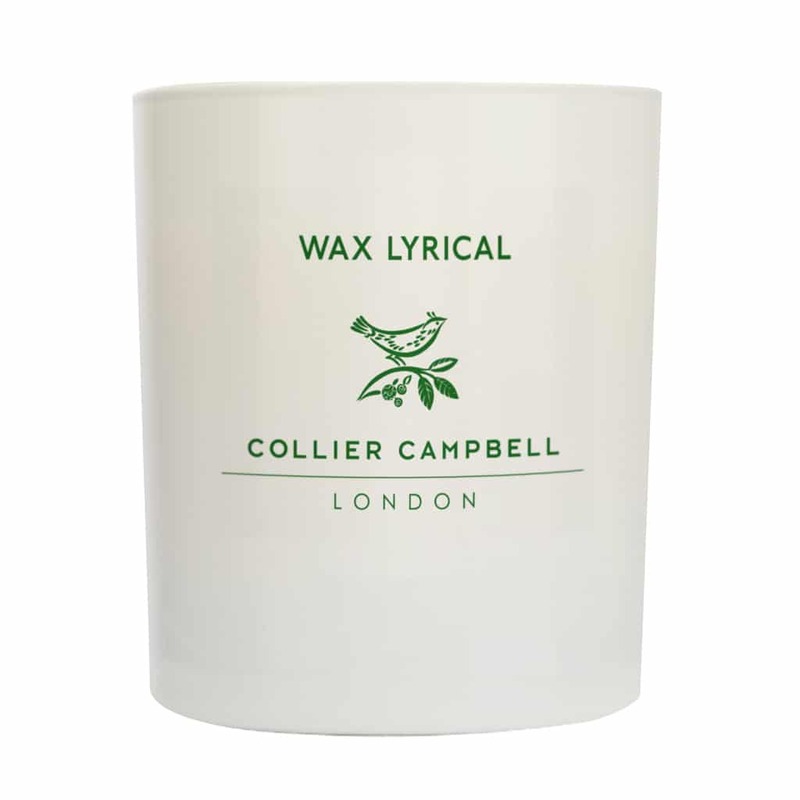 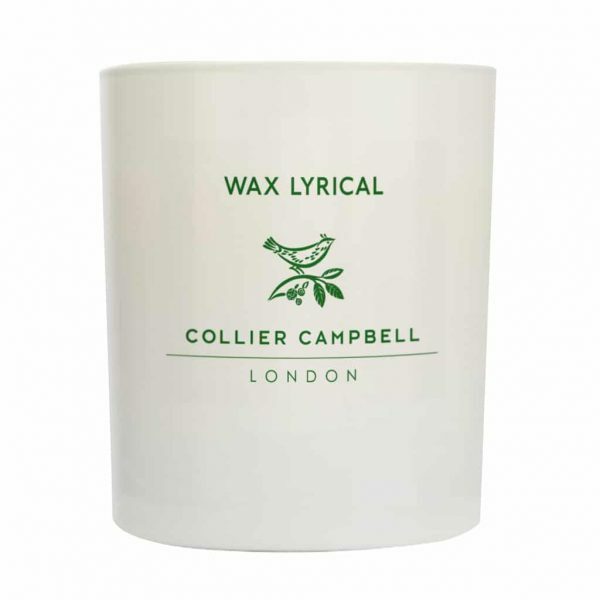 In a contemporary white glass finished with our Collier Campbell signature bird logo, this long lasting candle will add a wonderful welcoming glow to your room and gorgeous fragrance to your home. 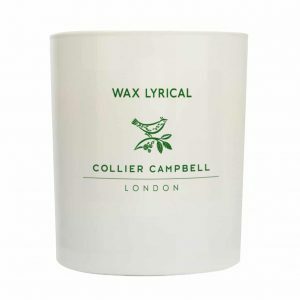 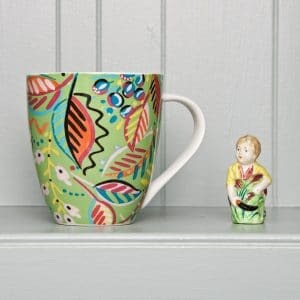 Perfect to give as a gift for Christmas, as a birthday present or when visiting friends or relatives for dinner or an overnight stay. 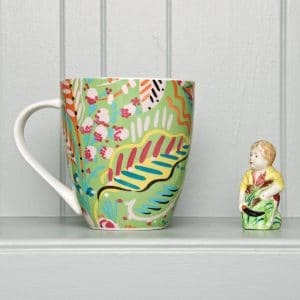 Wrapped in a gift presentation box printed with our charming Tumbling Leaves pattern.